From cellphone carriers to bulk cereal, brand loyalty discourages objective price comparison. If you never consider other options, you miss out on special promotions, deep discounts, and other money-saving opportunities. Loyalty plans and retail reward programs don't give you discounts out of the goodness of their hearts; they trade it for detailed data on your buying habits. In turn, that data is analyzed to cross-sell similar products, suggest accessories and upgrades, and predict what you'll buy in the future. Once you sign up, you become part of an alarmingly sophisticated marketing machine — one that's designed to sell you more products more often. Where's the savings in that? 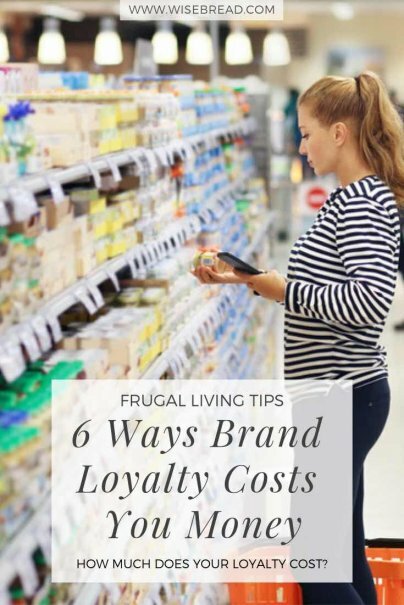 Building brand loyalty is an expensive endeavor. Perks, upgrades, and discounts are used strategically to draw new customers into rewards programs. However, those benefits cost money and don't always last. Once your loyalty is firmly in place, privileges have a way of gradually disappearing. In fact, new customers often get far better deals than those who've stuck around for years.